Micro computer determines the most suitable operation mode as time passes and automatically adjusts output power for maximum comfort always. 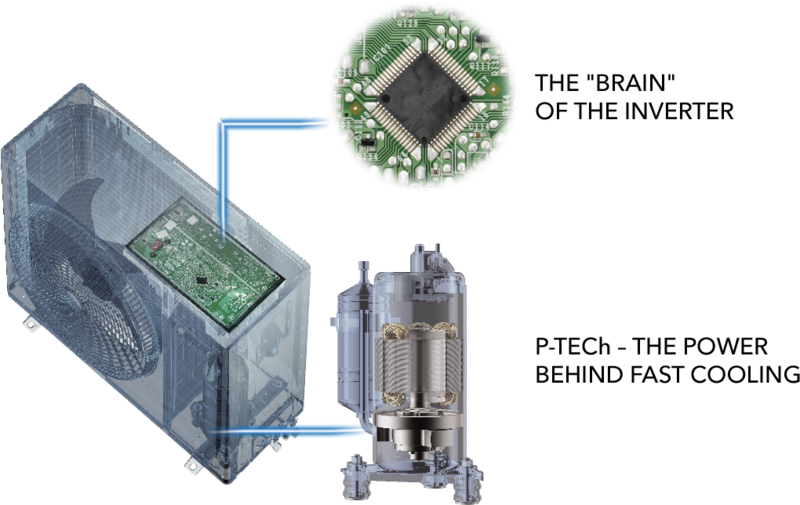 Increases compressor voltage rapidly, to provide powerful cooling to reach the set temperature fast at start up, just like turbo charging a car. Stabilises the compressor rotation speed when maintaining the set temperature, like putting a car on cruise control. 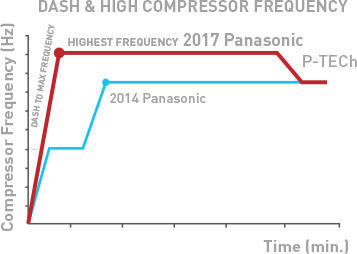 PAM increases the power output to accelerate compressor speed at start up to deliver powerful cool air. 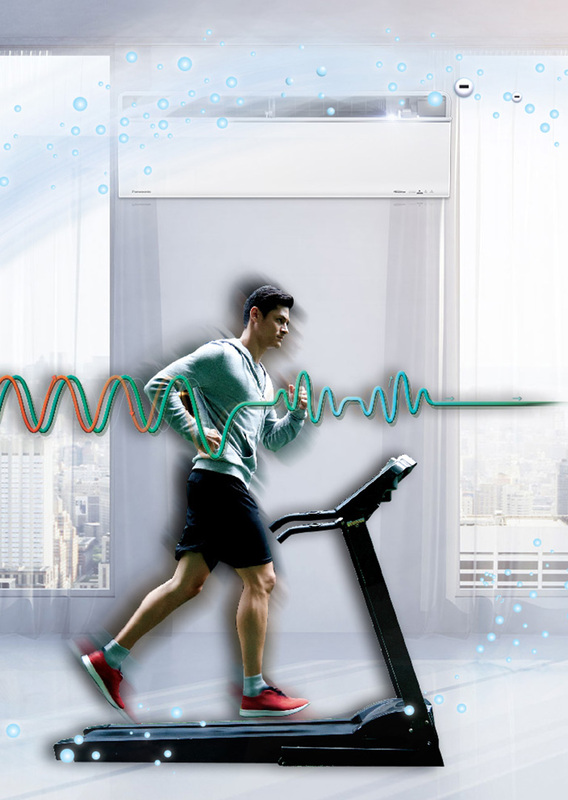 Once the set temperature is reached, PWM controls the compressor speed to maintain the set temperature for comfortable ambiance without wasting energy. 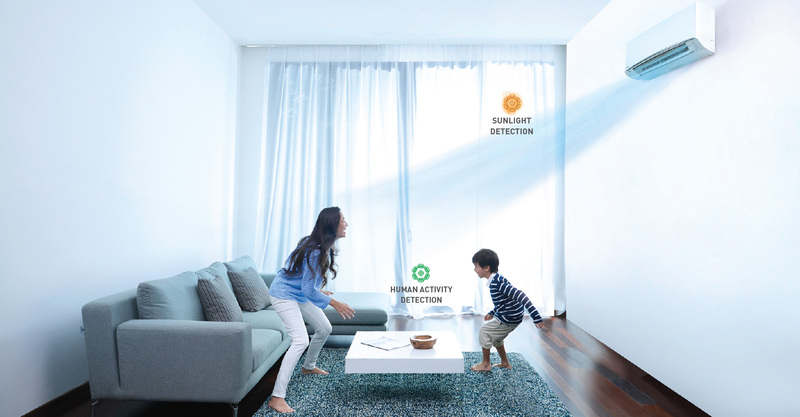 ECONAVI is a high-precision sensor technology that detects where energy is usually wasted and adjusts cooling power according to room conditions and activity levels. 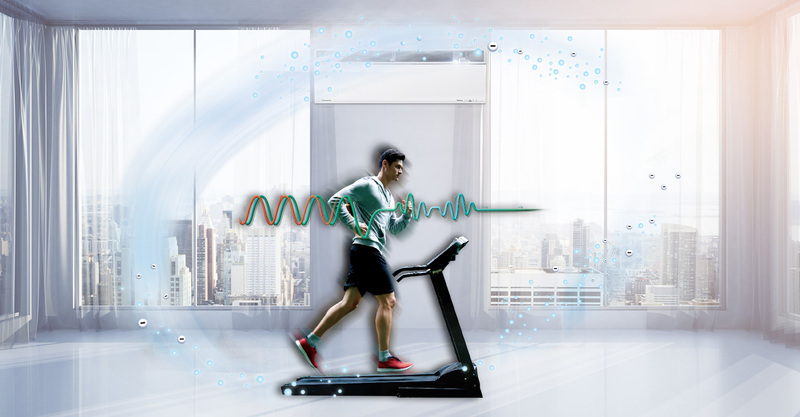 Detects human absence in the room, changes in human movements and changes in activity levels and adjust cooling power accordingly to prevent energy wastage. Adapts cooling power to changes in sunlight intensity. 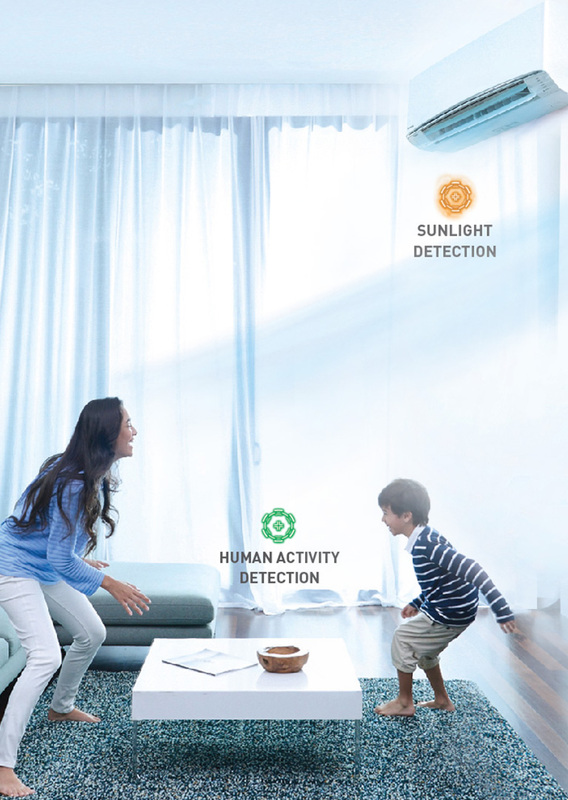 ECONAVI has two sensors – Human Activity Sensor and Sunlight Sensor. Together, they monitor human location, movement, absence, and sunlight intensity to use energy more efficiently.